CHARTIER DE LOTBINIÈRE, RENÉ-LOUIS, esquire, seigneur, deputy attorney general, councillor, lieutenant general on the bench of the provost and admiralty courts of Quebec, subdelegate of the intendant, militia officer, and agent general of the Compagnie de la Colonie; baptized 14 Nov. 1641 in the church of Saint-Nicolas-des-Champs in Paris, son of Louis-Théandre Chartier* de Lotbinière and Élisabeth Damours; d. 3 June 1709 at Quebec. Born of a family that had been ennobled at the beginning of the 15th century, René-Louis Chartier was the grandson of the famous René-Pierre Chartier, doctor in ordinary to Louis XIII and professor of surgery at the Collège Royal. The Chartiers were connected by marriage with some of the better families of France; thus, through his mother, René-Louis was related to Jean de Lauson* (senior), formerly intendant of the provinces of Provence, Guyenne, and Dauphiné, director of the Compagnie des Cent-Associés, and future governor of New France. The Lotbinière family probably came to Canada with Lauson, who landed at Quebec on 13 Oct. 1651. Not yet ten years old when he arrived, René-Louis was at an age to receive vivid and lasting impressions. A gigantic river, immense mountains and forests, decked out in their autumn colours, endless expanses, and the half-naked Indians who hastened to meet the ship in their swift bark canoes – could a little boy ever forget all these things? René-Louis was also at the age at which one adapts best to a new life. He attended the Jesuit college in Quebec. There he met every day with dauntless missionaries, discoverers and geographers as well as apostles, who sailed fabulous rivers and lakes and preached the gospel to distant tribes with strange customs. How little he must have missed the confined, noisy, muddy Paris of his time! When the boy was nearing the end of his classical studies, Governor Voyer d’Argenson arrived at Quebec. In a play improvised for the occasion and presented at the college on 28 July 1658, René-Louis played the role of the “spirit of the forests, the interpreter for the strangers.” Spirit of the forests! Could the erstwhile little Parisian have dreamt of a finer title ? Upon his return into the wings of the improvised stage at the Jesuit college, René-Louis Chartier disappears from our sight for several years. (Is it not within the Power of spirits to disappear thus, without leaving any trace?) 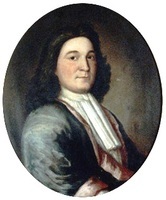 He is mentioned once, on 29 Jan. 1662, when Dubois* Davagour granted him some pieces of land on the St Charles River which had belonged to the Recollets (and which Chartier gave back to them 23 Oct. 1670, when they returned to Canada). Then all is silence until 1666. We encounter him briefly at Quebec in 1667 and 1668, then meet him again in 1670. It is impossible to say how he spent all this time. If we had the eyes of Lynkeus, we should perhaps catch frequent glimpses of him as, wearing snowshoes and carrying a musket, he tirelessly scoured the woods around Quebec, which abounded in game. He was undoubtedly used to long excursions in the forest, as he was to demonstrate on two occasions in 1666. 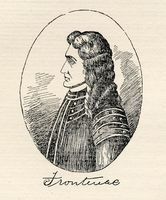 Rémy* de Courcelle was preparing his ill-starred adventure into the Iroquois country. A few Canadian settlers joined the soldiers, who had recently arrived from France. René-Louis Chartier was one of them. Hastily prepared and carried out in winter by troops who had no experience of the country, the expedition was fraught with extraordinary difficulties because of the excessive cold and the lack of food. Like the good Canadian that he had become, René-Louis would have come out of it very well, had it not been for a slight wound that he had received in action and the fact that on the way back he was dazzled by the snow and ice and lost his sight for three days. The little army encountered nothing but disappointments and returned without achieving any of its designs of conquest. A new and more ambitious attempt was made in September 1666. This time the Mohawk villages were ravaged, and on 17 October they were officially taken over. In his capacity as “lieutenant of a company of Quebeck citizens” Chartier de Lotbinière signed the report, which was drawn up in Iroquois territory by the royal notary Pierre Duquet*. Ont eu beaucoup desclat mais leur ont moins cousté . . . Received great renown but cost them less effort . . . In toying with the muse in this way René-Louis perhaps had in mind that Alain Chartier, who died about 1430, whose direct descendant he was and to whom he owed his noble rank, had been in his time a prose-writer of merit, if not a great poet – which we have not forgotten in our own day. At the beginning of 1670, except for his military role of 1666, René-Louis Chartier had not yet performed any public function. Had this young nobleman been content with an idle existence devoted entirely to hunting and rambles, or was he studying law with his father, the principal law officer in the seneschal’s and then the provost court of Quebec? The latter hypothesis is almost certainly correct, unless he had gone to study in Paris. On 13 Jan. 1670, in any event, he was installed in the office of deputy attorney general to the Conseil Souverain. But from the death of Jean Bourdon* on 12 Jan. 1668 to the appointment of Denis-Joseph Ruette* d’Auteuil on 29 May 1674, there was no regularly appointed attorney general to the council, and it was the deputy who carried out the duties of the office. This was, consequently, a heavy responsibility which Chartier, who was only 28, could not have assumed if he had not been thoroughly versed in law and procedure. Chartier’s appointment, which was an annual one, was renewed 12 Jan. 1671, 28 Mar. 1672, 16 Jan. 1673 (when he took the oath of loyalty to the king demanded by Buade* de Frontenac), and 15 Jan. 1674. An additional proof of the authorities’ satisfaction may be seen in his appointment as a councillor on 29 May 1674, when his name was put forward by the Compagnie des Indes occidentales. Chartier was 32, and the future looked bright. On 26 April 1675 Louis XIV appointed him a councillor for life. Among the councillors, whose number was raised from 5 to 7, he held the fifth place. In 1674, at the time of his installation, he had been assigned the last place, since he was the most recently appointed. He had protested and had claimed a right to be treated with greater respect, as being the only councillor to hold his appointment from the king: a matter of precedence, of which his century has given us many examples. 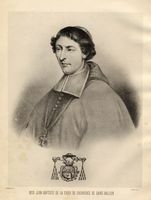 René-Louis’ father, however, who had been lieutenant general for civil and criminal affairs of the provost court of Quebec since 1666, was preparing to resign his post. It may be supposed that, in accord with the spirit of the age, he requested insistently that his son succeed him. The office of judge of the provost court of Quebec was, in fact, one of great prestige and much more remunerative than that of councillor, which at that time carried with it a salary of only 300 livres a year. 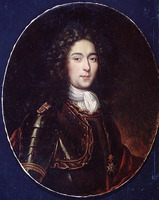 René-Louis was, in fact, appointed on 1 May 1677, replacing his father; on 25 October he was installed by councillors Louis Rouer* de Villeray and Charles Denys de Vitré. His salary was 500 livres. For 26 years Chartier was to discharge his duties as a judge to everyone’s satisfaction; his reputation grew from year to year, as did the esteem in which he was held. Duchesneau*, Brisay de Denonville, Bochart de Champigny, Frontenac, the king himself, one after another praised his honesty and his competence, drawing attention to the services he rendered the colony; on 28 Dec. 1698 he was appointed judge of the admiralty court, although the setting up of this tribunal was delayed until 1717; Bishop Saint-Vallier [La Croix] for his part made Chartier one of the directors of the Hôpital Général of Quebec. On many occasions he was called upon to sit on the Conseil. Souverain when a councillor was absent. In addition he was subdelegate to the intendant in 1677, 1687, 1689, 1690, and 1706. In the last-mentioned year, for example, his judicial powers were very wide, proof of the confidence in his judgement and knowledge. 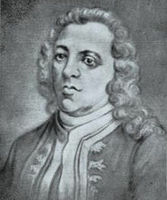 Throughout his honourable career Chartier de Lotbinière continued, as a militia officer, to take part in the defence of the colony. In the autumn of 1666 he was a lieutenant in a company, and on 2 June 1673 he was promoted to lieutenant-colonel of the militia of Quebec. 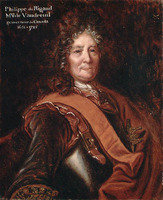 On 6 July 1684 he received from Le Febvre* de La Barre a commission as officer commanding the regiment of Quebec (204 men), and in this capacity he accompanied the governor in his expedition against the Iroquois; in the absence of Denonville, who in 1687 carried the war into the pays d’en haut, it was Chartier de Lotbinière who was in command at Quebec; on 6 June 1690 he was appointed colonel of a company of Quebec militiamen and took part in the defence of the town during the siege by Phips*. In New France the nobility of the robe knew how to take up the sword with courage when the need arose. René-Louis Chartier’s competence and devotion were soon to be rewarded and his worth recognized. On 1 June 1703 Louis XIV appointed him chief councillor of the Conseil. Supérieur. From that time on he ranked fourth in the hierarchy of the colony, being preceded only by the governor, the intendant, and the bishop. Even before his installation on 26 Nov. 1703 Chartier had had a petition addressed to the court asking that he be paid an annual gratuity of 250 livres “Which [would permit] him to do honour to his office”; the position of chief councillor, which was worth 450 livres, did not, he explained, bring in as much as did that of lieutenant general, to which were attached fees as well as a salary of 500 livres, yet it entailed greater expense. When he was chief councillor, Rouer de Villeray had received such a gratuity; the king likewise granted one to Chartier. It was important that this high officer maintain his rank fittingly. Tout petit prince a des ambassadeurs. Every marquis wants to have pages. Everything went on in New France as if people had adopted the improvidence of the nomadic Indian, living from day to day and not minding the cost. Too often, to maintain a social rank he had usurped, a person had to go every day a little more deeply into debt. The outward display ill concealed the extreme poverty of these needy colonials in their homes. The greatest fortunes were based upon neglected bonds and unpaid debts. Charles Aubert de La Chesnaye, for example, the most powerful businessman of his time, died insolvent. This was not, however, the end of Chartier de Lotbinière. In June 1701 the notaries Louis Chambalon and Charles Rageot took an inventory of the joint estate of Reni-Louis Chartier and Marie-Madeleine Lambert, married 24 Jan. 1678 at Quebec. This document permits us to appraise Chartier’s fortune at that time: 2,692 livres, 4 sols, 4 deniers in personal property, implements, and farm animals; 318 livres, 9 sols, 4 deniers in cash; and debts receivable amounting to 4,924 livres, 1 sol, 8 deniers. That is to say, 7,934 livres, 15 sols, 4 deniers on the credit side, from which must be deducted liabilities totalling 1,929 livres, 6 sols, 6 deniers, which leaves 6,005 livres, 8 sols, 10 deniers. To this sum must be added the value of the house which he had under construction at that time and for which he had already paid out 6,000 livres, his seigneury of Lotbinière measuring three and a half leagues by six (acquired by grants dated 3 Nov. 1672, 1 April 1685, and 25 March 1695, and by a purchase on 22 Feb. 1686), the farm land belonging to the seigneury with its mill, its two houses, and its barns, his properties at Quebec, and some assets, including his library, which he possessed in his own right. In other words, a respectable fortune of at least some 20,000 livres. The house in which Chartier lived, on Rue Saint-Louis, was small and had only one storey. It consisted of a kitchen with a pantry, a parlour in which there was a bed, a bedroom, the lieutenant general’s study which also served as his bedroom, a cellar, and an attic. In it lived Chartier, his second wife, Françoise Jachée, whom he had married on 16 May 1701, and the six surviving children of the ten that Marie-Madeleine Lambert had borne him. The family had no servant. Except in the parlour which, when required, was turned into a dining-room, the furniture and utensils were broken, worn out, of little value. The parlour displayed a sumptuousness devoid of any extravagance: 12 wild-cherry chairs, an armchair, a settee, a panelled buffet which served as a table, a spinet (a rare instrument in New France), an old pedestal table, two mirrors, one of which measured 20 inches by 16, three pieces of tapestry-work in point de Hongrie, a pair of iron firedogs with copper knobs, of a total value of 400 livres. Listed for use at receptions and preserved carefully in Chartier’s study were 12 silver spoons and forks, a dish, and two salt-cellars, likewise in silver, all valued at 416 livres, 5 sols, on the basis of 45 livres the mark. While at Versailles the great king continued to eat with his fingers, the lieutenant general of Quebec, on the days when he received, was not unaware of the refinements of the new code of etiquette. At his death the wonder-struck little boy of 1651 was chief councillor to the Conseil Supérieur, and one of his nephews, Rigaud de Vaudreuil, was governor of New France. He left behind him the memory of an upright and competent man whose services to the colony were countless. Governors and intendants had been unanimous in praising him unreservedly. 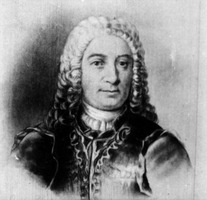 Arriving in Quebec at the age of ten, René-Louis Chartier de Lotbinière had received his schooling in Canada and had returned to France only twice, in 1674 and 1691; he had become a true Canadian. AJQ, Greffe de Romain Becquet, 1, 12 avril 1674, 3 sept., 28 déc. 1677; Greffe de Louis Chambalon, 18 oct. 1697, 9 oct. 1698, 1 févr. 1699, 14 mai, 13 juin 1701, 3, 10 nov. 1702, 29 janv. 1703. AQ, Coll. P.-G. Roy, Chartier de Lotbinière; NF, Cahiers d’intendance, II, 496–98, 502, 512; NF, Foi et hommage, I, 169; NF, Ins. Cons. sup., II, 139v et seq. ; NF, Ins. de la Prév. de Québec, I, 327; NF, Ord. des int., I, 1, 46; NF, Registres d’intendance, I, 44f. ; IV, 12; Seigneuries, Lotbinière. 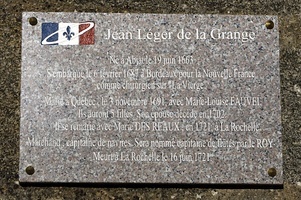 ASQ, Lettres, N, 14, 121; Polygraphie, III, 113; XLVI, 16; Séminaire, XXXV, 23.. ... “Acte d’association entre Jean Léger de La Grange et René-Louis Chartier de Lotbinière,” BRH, XXIV (1918), 99–101. “La compagnie de 1666: procès-verbal de prise de possession des forts d’Agnié, 17 octobre 1666,” BRH, XIII (1907), 350f. “Correspondance de Frontenac,” APQ Rapport, 1926–27, 62, 80, 129; 1928–29, 345. “Correspondance de Vaudreuil,” APQ Rapport, 1942–43. Documents relating to Canadian currency during the French period (Shortt), I, 87, 117–22. “L’expédition de M. de La Barre contre les Iroquois en 1684,” BRH, XXXI (1925), 55. Jug. et délib. Pièces et documents relatifs à la tenure seigneuriale, , 302, 315f., 364, 408. Recensement du Canada, 1666 (APQ Rapport). Recensements du Canada, 1667, 1681 (Sulte). P.-G. Roy, Inv. concessions; Inv. ins. Cons. souv. ; Inv. ord. 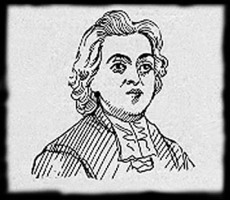 int., I. André Vachon, “Inventaire des biens de René-Louis Chartier de Lotbinière (Québec, 13–17 juin 1701),” RHAF, XXI (1968), 308–24. “Vers burlesques,” BRH, XXXIII (1927), 264–82.. ... DCB, I, 201–3. Gareau, “La prévôté de Québec,” 61, 129, 134f. Tanguay, Dictionnaire, I, 120. Luc Lacourcière, Anthologie poétique de la Nouvelle-France (XVIIe siècle) (Textes d’auteurs canadiens, V, Québec, 1966 [polycopié]), 89–101. Raymond Douville, “Trois seigneuries sans seigneurs,” Cahiers des Dix, XVI (1951), 135–50. A. de Léry McDonald, “René-Louis de Lotbinière, premier conseiller au Conseil supérieur,” BRH, XXXIII (1927), 585–87. P.-G. Roy, “René-Louis Chartier de Lotbinière,” BRH, XXXIII (1927), 257–64. André Vachon, “De quelques erreurs au sujet de René-Louis Chartier de Lotbinière,” BRH, LXIX (1967), 139–42; “Seize documents concernant René-Louis Chartier de Lotbinière,” BRH, LXIX (1967), 99–107..
André Vachon, “CHARTIER DE LOTBINIÈRE, RENÉ-LOUIS,” in Dictionary of Canadian Biography, vol. 2, University of Toronto/Université Laval, 2003–, accessed April 26, 2019, http://www.biographi.ca/en/bio/chartier_de_lotbiniere_rene_louis_2E.html.